It is my job to help make sure patients are tolerating their treatment. I help address issues patients may have in regards to their treatment, as well as other medical problems they may be experiencing. I support them in their road back to health. Aric Blom is a physician assistant (PA) at Cancer Treatment Centers of America® (CTCA), Chicago. Blom thoroughly enjoys the time he shares with patients, not only discussing their treatment, but what’s going on in their daily lives. He says taking time to listen to their questions and concerns, and fully understanding what they are experiencing is integral to the quality care he provides. Blom’s responsibilities include providing immediate care, reviewing and administering chemotherapy treatments, caring for inpatients, ordering and interpreting lab tests, helping with care management, and prescribing medications to treat symptoms and side effects. 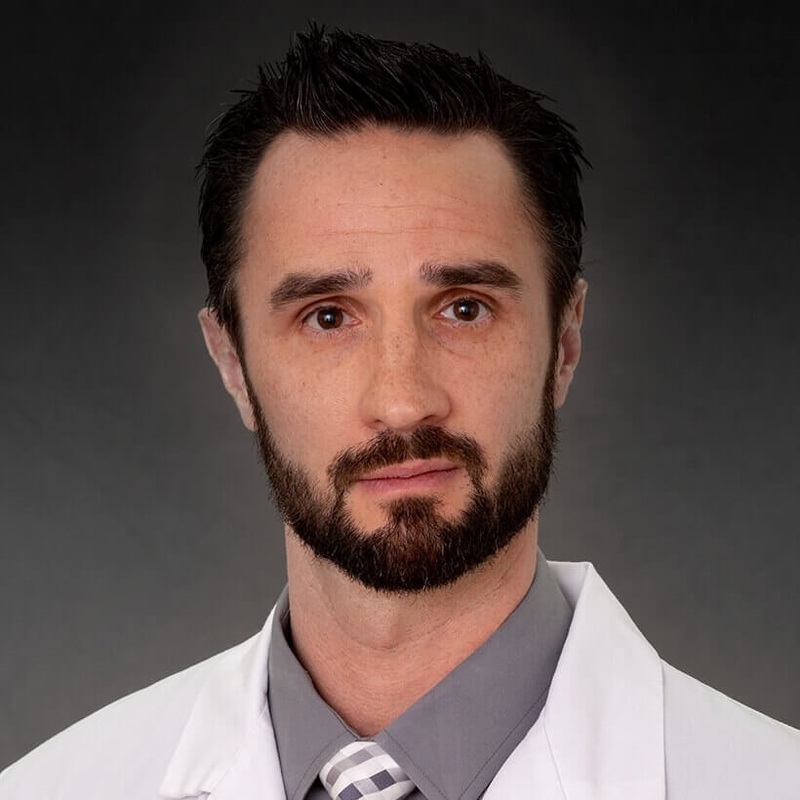 Prior to joining the CTCA® team in February 2010, Blom served as a pain management PA and a cardiology/internal medicine PA at healthcare facilities in Milwaukee, Wisconsin and White Plains, New York, respectively. Blom earned a master’s degree in physician assistant studies from Midwestern University in Downers Grove, Illinois. As part of the program, he completed clinical rotations at several hospitals, clinics and private practices throughout the United States. Before pursing graduate studies, he simultaneously completed bachelor’s degrees in biology and psychology from the University of Iowa. A member of the American Academy of Physician Assistants, Blom is certified as a physician assistant by the National Commission on Certification of Physician Assistants. Additionally, he is certified by the American Heart Association to provide advanced cardiac life support, basic life support and cardiopulmonary resuscitation (CPR).